Florida's potato harvest has kicked off and growers are happy with conditions during the growing season thus far. At the moment, the harvest is mainly concentrated in southern parts of the state but will gradually make its way north as the month progresses. Growers in South Florida have enjoyed a relatively uneventful winter, with negligible frost or other weather with the potential to impact the crop. "Our harvest began Monday and most of South Florida has also just started or is about to start their harvest," said Matthew Burman of Mack Farms in Lake Wales. "We have had perfect weather conditions in the lead up, avoiding frost and receiving just the right amount of moisture. Yield is expected to be close to the long term average. Quality, however, looks set to be excellent. The stands are very nice and uniform and we are seeing very good sets in the fields." Although potato prices in general have been relatively flat in recent months, potato growers in Florida are expecting the market for new crop product to be favorable. As the season begins, they have observed a few issues - mainly weather related - in some of the potato producing regions which have hampered supplies across North America. "There have been some issues with the storage crop," Burman noted. "Canada had a dry summer and in Wisconsin it has been very wet. North Dakota experienced average yields and they are currently 1 Million hundred weights less than they were at this time last year. As a result, we are expecting a very good start, especially for new crop yellows and whites. Movement is looking good and we are already seeing a lot of interest. Last year's market was rough as most regions experienced unusually large yields and few issues." 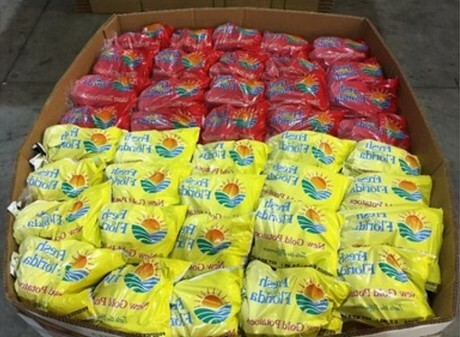 While all major color variants are grown in Florida, Burman said the industry is expecting a very good market on white and yellow potatoes out of Florida this season. Reds meanwhile, look set to enjoy a more average market. "The market is going to be good all-round, but especially on white and yellow potatoes," he shared. "The outlook for the new crop is strong while reds will still have a solid year and on par with what we typically see for red potatoes. 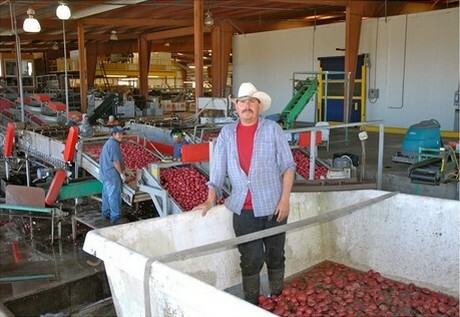 Demand for white and yellow potatoes is very good, while for reds it is average."